The Very Best : Makes A King album download | Has it Leaked? 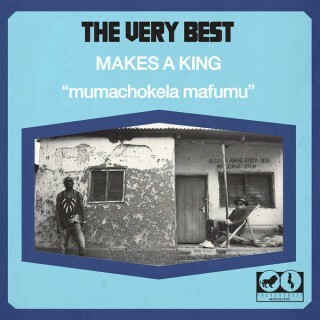 Singer Esau Mwamwaya and producer Johan Hugo (of Radioclit) have announced their next full-length as the Very Best: Makes a King, out April 7 in the United States via Moshi Moshi. The album follows 2012's MTMTMK, and was recorded in Mdala Chikowa, Malawi. Vampire Weekend bassist Chris Baio, Senegalese singer Baaba Maal, London-based singer-songwriter Seye, and Jutty Ranx's Jutty Taylor are all on the record. "Hear Me", which features Baio on bass, has already been unveiled. Now, the duo have shared another track featuring Baio, "Let Go"; listen to it above. Below, check out the tracklisting in full.